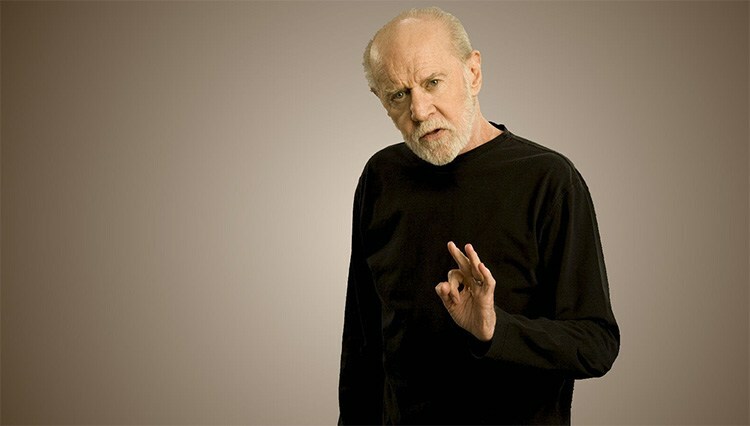 A friend of mine died today: George Carlin. He wasn’t a friend in the personal sense but we had a long history together. I don’t recall exactly when it was during my teen years that we first met but I do clearly recall what he was doing at the time; he was talking about stuff. Or rather, about STUFF. I remember laughing until my gut hurt as he described how lost we are without our stuff, and how the supply lines connecting us to our stuff get thinner as we move further away from our homes. And of course, our homes were actually just large containers built so we would have a place to keep all of our stuff. At the time I was enamoured with the likes of Richard Pryor, and Cheech & Chong. My buddy and I would listen to their albums for hours. But it was George Carlin who seemed to ring the loudest as he skewered the shallowness of many aspects of 1970’s North American culture. He had a huge repertoire of famous skits and raucous rants. One of them, the “Seven words you can’t say on television”, got him arrested when he insisted on saying them on radio, an event which provoked serious debate about the nature of obscenity in that least comedic of institutions, the United States Supreme Court. That will no doubt remain his most important influence on the intertwining snakes of morality and entertainment that form so much of the landscape of our generation. But it was his take on our obsession with stuff that really got to me personally. In just a few short but manic minutes, he was able to lay bare the true nature of our fixation with material goods. About how passionate we are about surrounding ourselves with things that make us feel safe and comfortable. About how naked and vulnerable we feel without being able to lay our hands on things that belong to us and no one else. Henry David Thoreau, the 19th century American writer, went off to live in the woods near Concorde, Massachusetts, for two years of what he called “simple living”. He stayed in a small shack containing few possessions and spent much of his time writing and walking through the woods. He later wrote that “a man is rich in comparison to the number of things he can afford to leave alone”. I think he would have been shocked to find out how many of us simply cannot leave very many things alone. I also think he and George Carlin would have seen eye to eye on this point. And that is where the true genius of George Carlin lies. Not just in his ability to make a teenager laugh until it hurts, but in his skill at making us think about ourselves and the way in which we live. I shall miss that long-haired, potty-mouthed, hippie freak. Especially tonight, since the passage across my bedroom to the comfort of my bed is an obstacle course composed of too damn much stuff!